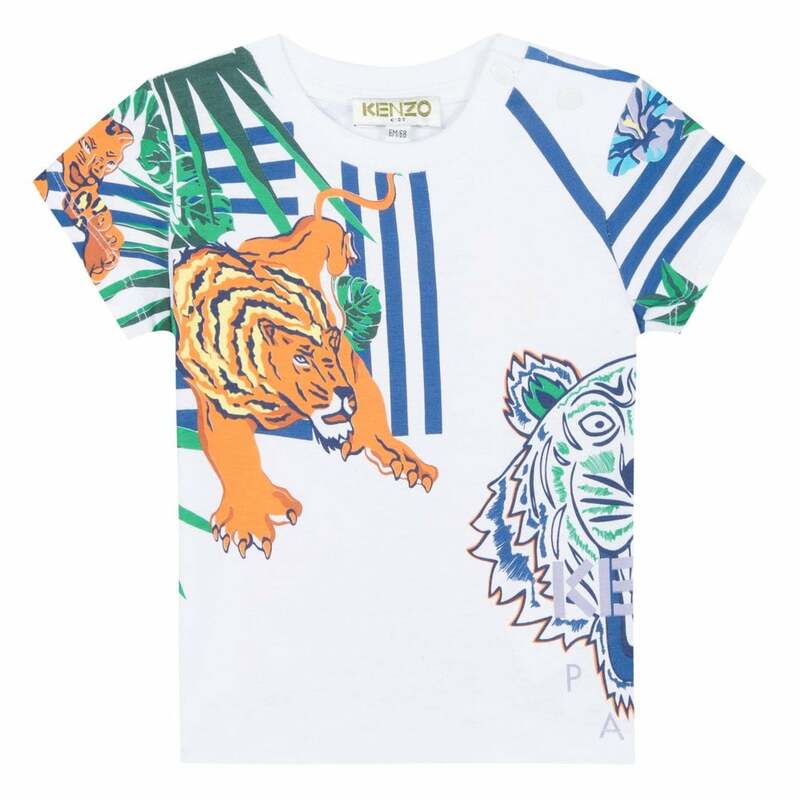 This Kenzo Kids BB Faron Hawaii Jungle Tiger Hunt T-Shirt is 100% cotton and is white in colour. It has short sleeves and a crew neck with press stud fastenings. It features a large Hawaii Jungle print on the front and back incorporating Kenzo Kids branding.